Our 14th National Conference was held at The Hilton Reading Hotel, Reading, where a total of 166 delegates attended. Delegates received updates on a range of relevant issues, were able to network with other delegates and take home tasks for discussion with their colleagues and partner agencies. Those present again received a comprehensive delegate pack. Representatives from Pubwatches, Local Authority Trading Standards and Licensing Departments, Community Safety Officers, Police Forces, Association of Town and City Centre Managers, Chambers of Commerce, licensing trade associations, pub companies, training companies, the legal profession, a relevant Government Department, some charities and others were again in attendance. Legal Issues, facilitated Gary Grant, Barrister and Stephen Walsh, QC. Gary gave a legal round-up of some current legislation and associated issues. These included the Modern Crime Prevention Strategy 2016, the Policing and Crime Act 2017, the Immigration Act 2016 and the Psychoactive Substances Act 2016. He also mentioned the House of Lords Select Committee Review of the Licensing Act 2003 and some possible impact on the licensing trade from Brexit, specifically employment and licensing fees. Stephen addresses data protection, which has become more complex with some imminent EU legislation being introduced in the near future. He stated that data controllers, such as licensees, have statutory duties within the same eight principles and that the Information Commissioner will have stronger powers under new legislation. He also outlined that information can lawfully be shared between relevant parties where is relates to reducing crime and disorder. Training Advice, facilitated by Michael Kheng, Tim Robson and Steve Evans, all holding the post of Regional Representatives with National Pubwatch. Michael addressed the issue of age verification and promoted Challenge 21/25, which in many places, is a mandatory condition of licence. Age should be verified through a photo ID which contains a hologram, such as a driving licence, passport or PASS card. The mandatory condition relates to challenging a person ‘who appear to the responsible person to be under 21 or 25’. Challenge 21 is regarded as best practice for the on-trade, whereas, supermarkets and off-licences have introduced Challenge 25. 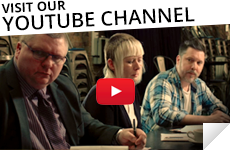 One of the new National Pubwatch training films addresses this topic. It is available on both our web site and You Tube. Tim addressed selling alcohol to drunks and introduced another of the National Pubwatch training films. He mentioned the various offences that can be committed – allowing disorderly conduct, sale to a person who is drunk, obtaining alcohol for a person who is drunk, failing to leave premises when asked to do so and drunk and disorderly. He gave a range of useful tips for licensees to address these issues, encouraging them to have an intoxication policy and staff training. Steve raised awareness of how to identify a potential conflict, making a brief assessment of the person or persons involved, their surroundings, staff safety and responding to it with the view to reducing the potential conflict. Gemma is the city centre Pubwatch Chair and operates two adjacent venues, a nightclub catering for 1,200 patrons and a bar catering for 400. 100 staff are employed for those mainly aged 18-25, many of them students. Matt is the local Police Licensing Officer and stated that the trade attend some of their planning meetings where crime statistics are shared. CCTV footage was shown of a sudden serious incident that took place in a pub and how it escalated, with the licensee unable to control it. This highlighted many aspects, including how alcohol can cause harm to others as well as those involved. She also is aware that illegal drugs, including psychoactive substances, are socially acceptable, economically appealing and mainly for recreational use. Instead of having a zero tolerance approach, she found it more realistic to be both proactive and reactive. She recommended that ID Scan, or similar, is used on entry, where alerts re bans etc., can be read. Through any random searches at the door, any drugs found are seized and placed in a drug drop safe/bin, unless there was intent was to supply, when the police are informed. Floor walking and undercover door staff employed for the detection of both drug dealing and use are also used. Gemma concluded by recommending that all premises have a proactive drug policy, train their staff on drug awareness, ensure regular checks are made of their premises and do not be afraid to ask for help. The 18 display stands present comprised our sponsors, national organisations, training companies, legal profession, trade and local initiatives. One of these again included five voluntary groups. All displays were well attended by delegates. The committee again wish to thank all the sponsors for supporting this conference. They include the British Beer and Pub Association, Stonegate Pub Company, J D Wetherspoon, Diageo Great Britain, Punch Taverns, Enterprise Inns, Deltic Group, Fullers, McMullen, Unite The Union, CPL Training and Dadds Solicitors. We would also like to thank the speakers, Breakout Session facilitators and all the other contributors for sharing their knowledge, passion and expertise. Additionally, we thank the staff at The Hilton Reading Hotel for their assistance, support and expertise in ensuring the smooth running of this conference. Finally, we wish, of course, to thank all the delegates who attended. As chair of National Pubwatch, Steve welcomed all present and thanked our sponsors, supporters and delegates. He announced that it is our 20th anniversary and in addressing whether we are still relevant, he referred to the positive outcomes arising from the 2012/3 national evaluation of Pubwatches and National Pubwatch and mentioned some of the initiatives undertaken by local schemes, thereby encouraging them to take ownership of their local problems. Steve also made delegates aware of the increasing range of materials we have produced, including four training films, with more planned. He gave specific thanks to Diageo for continuing to support the annual National Pubwatch Award and informed attendees that in this anniversary year we are introducing Regional Awards – Star Awards – which will be locally presented later this year. He then presented a special ‘thank you’ trophy to Mark Baird, a great supporter of Pubwatch, who is leaving the employ of Diageo. As the local Chief Constable, he recognises that many demands on the police service are becoming more complex, hence the commitment to make local communities safer, whether in their homes, on the streets or on-line. Such efforts have concentrated on his four main urban areas but, as this is not sustainable, he has dedicated resources to neighbourhoods leading to an actual reduced level of crime. He supports the promotion of Pubwatches and, through problem solving, he wants licensed premises to show what they have done to prevent incidents, and, if an incident does occur, what they did to respond to it. The vulnerability training undertaken by police officers is being extended to licensed premises’ staff. Encouragement is given to the use of breathalysers on customers before entry to licensed premises and the sharing of information. As the lead on alcohol issues for the National Police Chiefs Council, she told delegates that whilst the amount drunk is high, it is reducing, albeit women and older people are drinking more. However, after the binge drinking phase, young people are now drinking less. Of concern is that more alcohol is being purchased on-line, where little control exists. Additionally, sexual exploitation and mental health issues are clearly linked with alcohol consumption. Thus, the NPCC is addressing alcohol harm and vulnerability, with a focus on harm reduction. 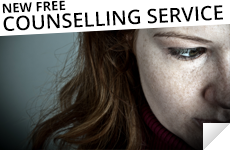 She promoted the ‘Hi, I’m Angela’ poster campaign, encouraged licensees, their staff and customers to recognise any customer who appears lonely and possibly suffering dementia. Additionally, they should have a good CCTV system. She encouraged working together, which can have very positive outcomes. 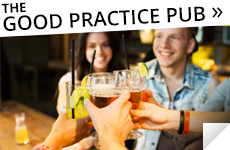 As the policy director of the British Beer and Pub Association, the national trade association for pub companies and independents, he outlined that his organisation conducts key policy and advocacy work and is also big fan of National Pubwatch. Beer and pubs matter because they are big tourist attractions, supporting 900,000 jobs and generate large revenue and taxes. Their members exports beer widely as well. They are taking responsibility and fostering culture change through the licensing law reforms, the Public Health Responsibility Deal, major investment in high quality food and robust self regulation. They also continue to promote various initiatives, in partnership. One example is the production of the recent National Pubwatch film about selling to drunks. Their next steps include supporting the Home Office Crime Prevention Strategy, designing out crime, supporting the LAAA Phase two roll out and motivating and promoting lower strength alcohol. This ‘Award of Merit’ is now in its eighth year. 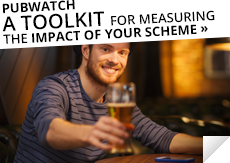 It is given to those people who National Pubwatch feel have demonstrated exceptional commitment to their local scheme. The trophy was presented this year by Chief Constable Francis Habgood. The Malcolm Eidmans Award, now in its fifth year, is in memory of our former Secretary, and is given to a member of police staff who has demonstrated considerable commitment to supporting local Pubwatch schemes. Trophies were presented this year to two persons by Chief Constable Francis Habgood. Unfortunately, Michelle was unable to attend so the trophy was accepted in her absence by Tim Robson, the local National Pubwatch Regional Representative for that area. A local presentation by the Durham Police Chief Constable will subsequently take place. The number of completed evaluation forms collected was 77, a similar figure to last year. All feedback is reviewed carefully as it assists us to measure the value of the content and organisation of each Conference. Additionally, it helps us to decide which relevant topics should be included within the next one.